Happy Memorial Day Weekend guys! I’ve got you covered on a perfect casual getup for the long weekend occasion. Memorial Day weekend is the unofficial start of the summer season and that means backyard parties and BBQs. 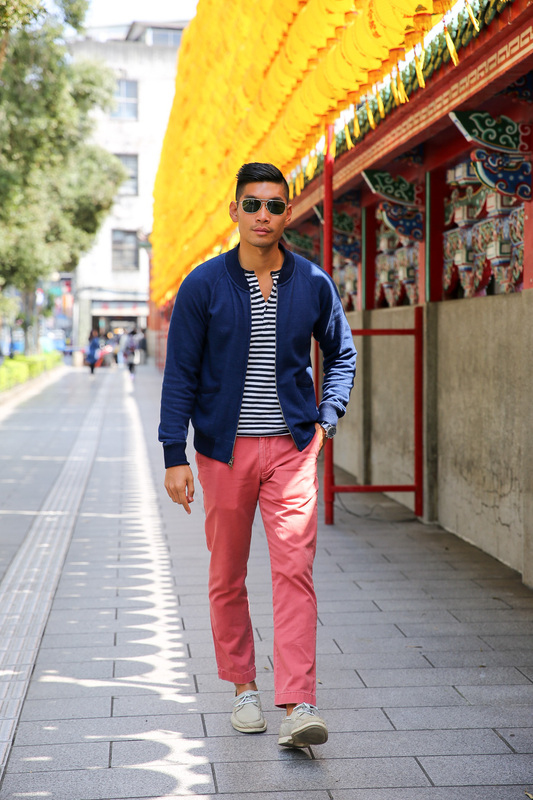 It’s also time to start switching out some of the winter/spring clothes for brighter & lighter colors. This Memorial Day weekend go for a patriotic style in the red, white and blue. For the top – I have on a nice casual bomber jacket from Todd Snyder (depending on where you are in the country, you might or might not need one already!). 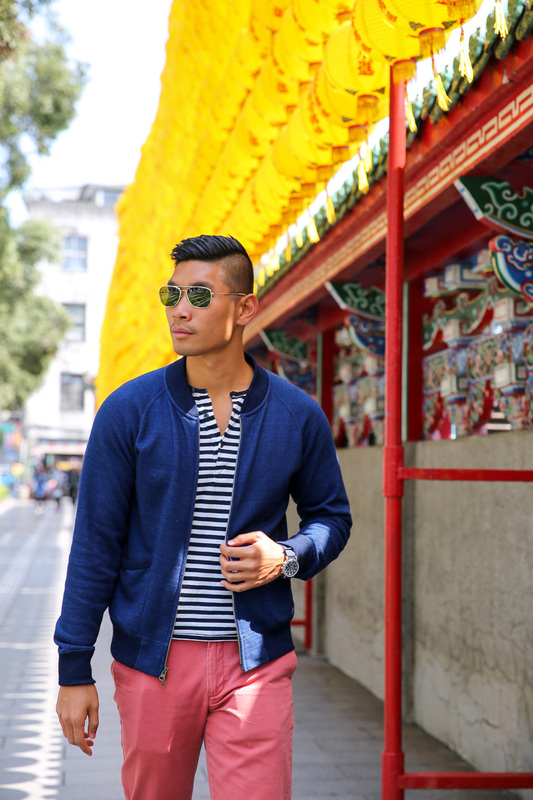 For my basic essential layer is a handy nautical striped Henley shirt that will be great for the whole season. 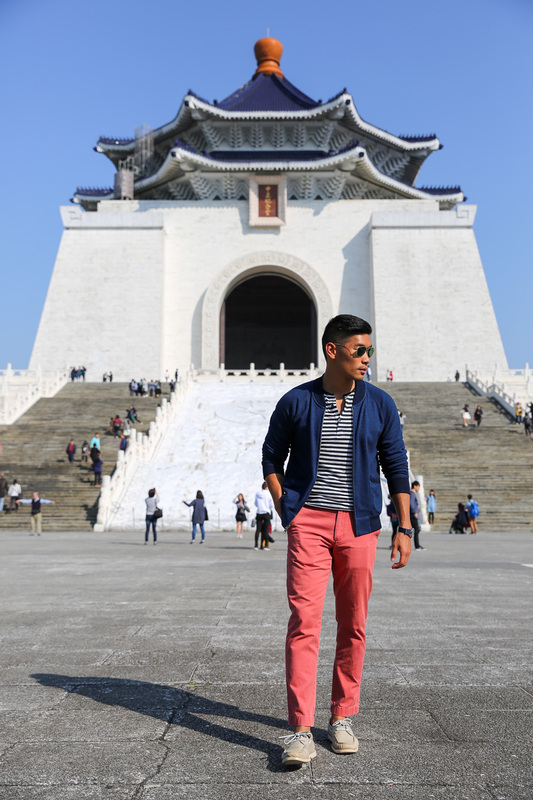 For the bottom, I chose the red chinos for the pop in the outfit. 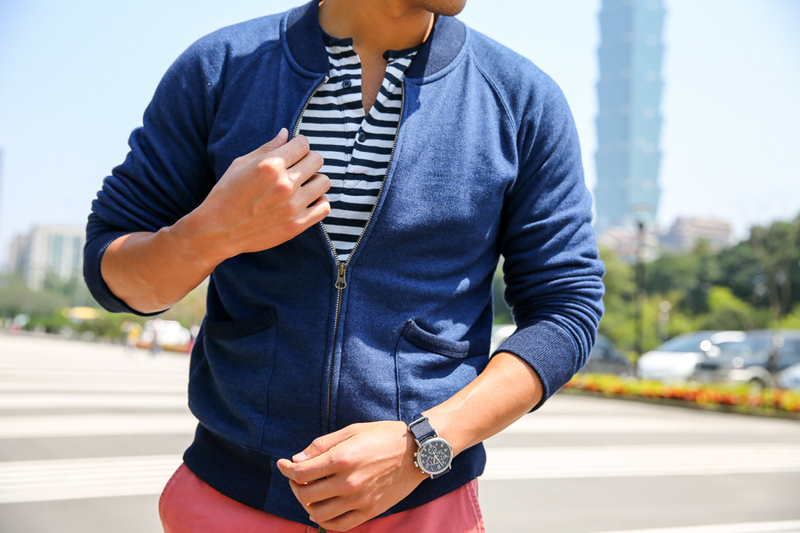 It’s a great color to have in the wardrobe to change things up (PS – also looks great with plain button down shirts). Last but not least, summertime means showing off some ankles in boat shoes. Each of these clothing items are essential summer style pieces that looks great pulled together like in this post or separately. So GO embrace the colors and go for that sailor look. 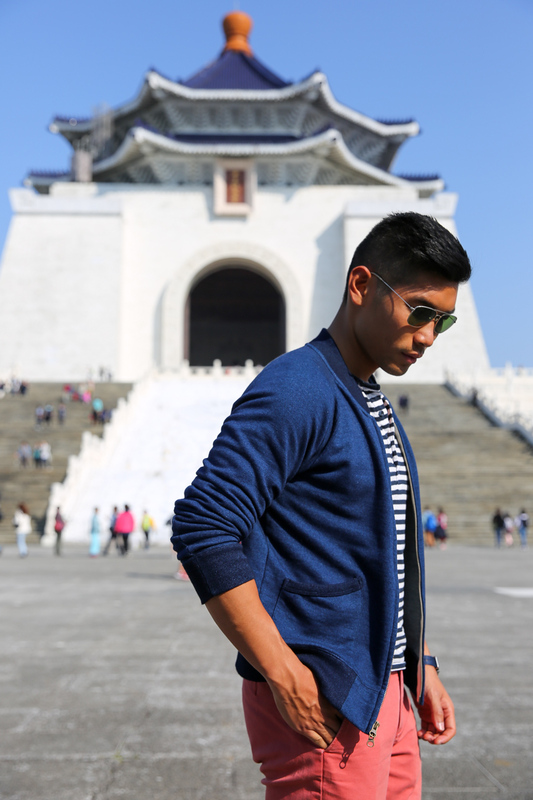 I got the chance to take this outfit out for a test run recently in Taipei, Taiwan. It was a beautiful day – 70 degree weather, just perfect for a day like this! I love the casual style of this look yet its sharp and well pulled together. The look was really inspired by the nautical coast of the country and also the colors of the flag. Great picture.. It looks so warm and cosy! Thank you Andhika - it was just the perfect day! Can't get any better especially for exploring a new city. Thanks DJ! The bomber jacket is definitely a nice piece in the wardrobe. Love the shades and the bomber.